This work categorizes and reviews behavioral biometrics with the inclusion of future-oriented techniques. A general introduction to this field is given alongside the benefits of this non-intrusive approach. It presents the examination and analysis of the current research in the field and the different types of behavior-centric features. Accuracy rates for verifying users with different behavioral biometric approaches are compared. Privacy issues that will or may arise in the future with behavioral biometrics are also addressed. Finally, the general properties of behavior, the influence of environmental factors on observed behavior and the potential directions for future research in the field of behavioral biometrics are discussed. With the proliferation of computers in our everyday lives need for reliable computer security steadily increases. Biometric technologies provide user friendly and reliable control methodology for access to computer systems, networks and workplaces (Angle, Bhagtani, & Chheda, 2005; Dugelay et al., 2002; K. Lee & Park, 2003). The majority of research is aimed at studying well established physical biometrics such as fingerprint (Cappelli, Maio, Maltoni, Wayman, & Jain, 2006) or iris scans (Anil K. Jain, Ross, & Prabhakar, 2004). Behavioral biometrics systems are usually less established, and only those which are in large part based on muscle control such as keystrokes, gait or signature are well analysed (Bolle, Connell, Pankanti, Ratha, & Senior, 2003; Delac & Grgic, 2004; Anil K Jain, Pankanti, Prabhakar, Hong, & Ross, 2004; Ruggles, 2007; Solayappan & Latifi, 2006; Uludag, Pankanti, Prabhakar, & Jain, 2004). Behavioral biometrics provide a number of advantages over traditional biometric technologies. They can be collected non-obtrusively or even without the knowledge of the user. Collection of behavioral data often does not require any special hardware and is so very cost effective. While most behavioral biometrics are not unique enough to provide reliable human identification they have been shown to provide sufficiently high accuracy identity verification. 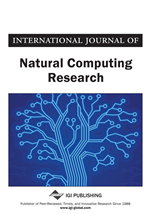 This paper is based on “Behavioral Biometrics: a Survey and Classification.” by R. Yampolskiy and V. Govindaraju, which appeared in the International Journal of Biometrics, 1(2008), 81-113. The paper presents a new comprehensive overview and improvements on research previously published in a number of publications including (Yampolskiy, 2006, 2007a, 2007b, 2007c, 2007d, 2008a, 2008b; Yampolskiy & Govindaraju, 2006a, 2006b, 2007a, 2007b, 2008). One of the defining characteristics of a behavioral biometric is the incorporation of time dimension as a part of the behavioral signature. The measured behaviour has a beginning, duration, and an end (Bioprivacy.org, 2005a). Behavioral biometrics researchers attempt to quantify behavioral traits exhibited by users and use resulting feature profiles to successfully verify identity (Bromme, 2003). Behavioral biometrics can be classified into five categories based on the type of information about the user being collected. Category one is made up of authorship-based biometrics, which are based on examining a piece of text or a drawing produced by a person. Category two consists of Human Computer Interaction (HCI) based biometrics (Yampolskiy, 2007a). In their everyday interaction with computers human beings employ different strategies, use different style and apply unique abilities and knowledge. Researchers attempt to quantify such traits and use resulting feature profiles to successfully verify identity. HCI-based biometrics can be further subdivided into additional categories, first one consisting of human interaction with input devices such as keyboards, computer mice, and haptics which can register inherent, distinctive and consistent muscle actions (Bioprivacy.org, 2005b). The second group consists of HCI-based behavioral biometrics which measure advanced human behaviour such as strategy, knowledge or skill exhibited by the user during interaction with different software.